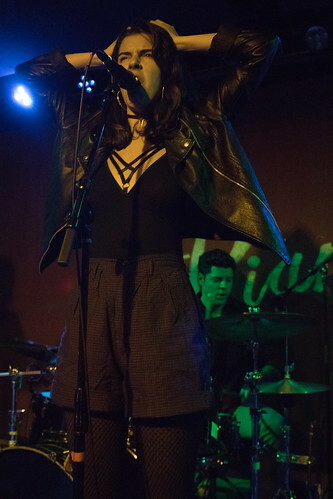 Caption: Up-and-coming, local soul act Vinegar Mother performing at Piano's last month. As the trio began to increasingly expand upon their sound, the founding trio decided to start anew and recruited bassist Zack Slaughter and Stelluti to record their debut EP as Vinegar Mother; however, shortly after the band formed, the band went through a lineup change that included Roninson replacing Slaughter, who joined the Marines. As Vinegar Mother, the band has developed a reputation locally as they’ve played a number of shows across this fair city — including The Knitting Factory and The Studio at Webster Hall — and along with a CMJ appearance last year, the band has opened for the likes of The Lonely Biscuits, Kat Wright and The Indomitable Soul Band, Joanna Teters and Mad Satta. Now, if you were frequenting this site last month, you may have come across the easy-going, 90s neo-soul leaning “Sunny Seat,” a song inspired by and written about a deeply personal experience in which Julia Zivic had a bitter falling out with a friend. “Slow,” the band’s latest single off their soon-to-be released debut EP Sunny Seat is a sultry and sensual that captures the wounded psyche of its narrator — a narrator, who’s desperate for love to cure her aching loneliness paired with a slightly more straightforward song structure and arrangement than its predecessor. Interestingly, the song captures the perspective and thinking of an emotionally conflicted woman with an uncanny nuance and a novelist’s attention to psychological detail — all while being a subtle yet very modern take on classic soul and blues. The members of the band are starting an increasing tour schedule, check out tour dates below, which includes a set tonight at SoFar Sounds. 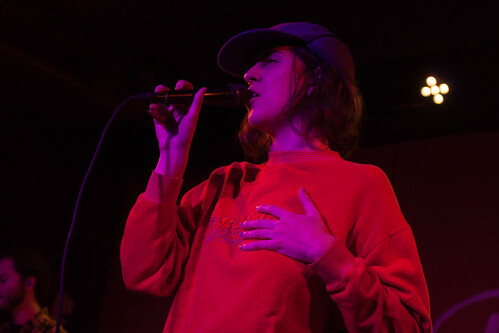 As Vinegar Mother’s Julia Zivic explained to the folks at Impose, “Sunny Seat,” was inspired by personal experience and a journal entry she had been writing while committing to work. “I was writing on the subway after a bad falling out with one of my longest best friends,” Zivic explained. And as the story goes, as the G train she was on crossed the Gowanus Canal Bridge, the morning sun had hit her directly in the face. While being comforted but the sun’s warmth, Zivic wouldn’t shake the unbearable feeling of loss — and she begun to write portions of the song while on the train. “I remember writing about how desperate I was to get home to Itamar and Jay and make a song out of these emotions I had. This song and its natural coming about means a whole lot to me. It cuts me deep every time we perform it.” So it shouldn’t be terribly surprising that the song while being somewhat upbeat, possesses both a morning commuter’s weariness and a deep, bitter ache. For the recently released video, Zivic’s vocals narrate and serve as the innermost thoughts and feelings of the video’s protagonist, also played by Zivic. Throughout the video, its protagonist is reminded of the fact that not only do ghosts linger, they are inescapable and find eerie ways to haunt you. And of course, we see Zivic rush back to her bandmates in Brooklyn to ostensibly write the song with an easygoing, cool-self assuredness.